Basic Education is FREE by law in Haiti but do the students ever get really get it for free? According to president Jovenel Moise they did this year. 750,000 Haitian public school students will go to school for free this year, the president said. "The State of Haiti WILL pay for the tuition of 750,000 Haitian students who attend 2,500 public school across the country," the president said. By that, the president is talking about the students in the first two cycles of basic education (enseignement fondamental), which range from the first fundamental year to the sixth fundamental year. Basic education is guaranteed by the Haitian constution to every Haitian child but the Government of Haiti has not really fulfilled this commitment to the children of Haiti. 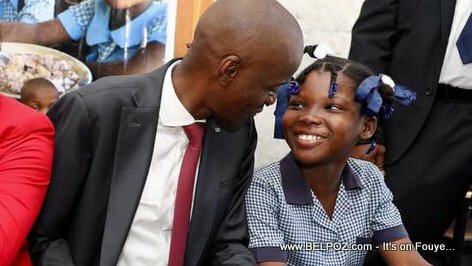 This year, President Jovenel said 750,000 Haitian students going to public school will benifit from this program as required by law.